Osu-Kannon has one of Nagoya's most famous temples - Osu-Kannon temple, as well as a shopping street of covered shops. Osu-Kannon Station is one stop from Fushimi, or about a 15 minute walk South. Click below banners for listings and info! 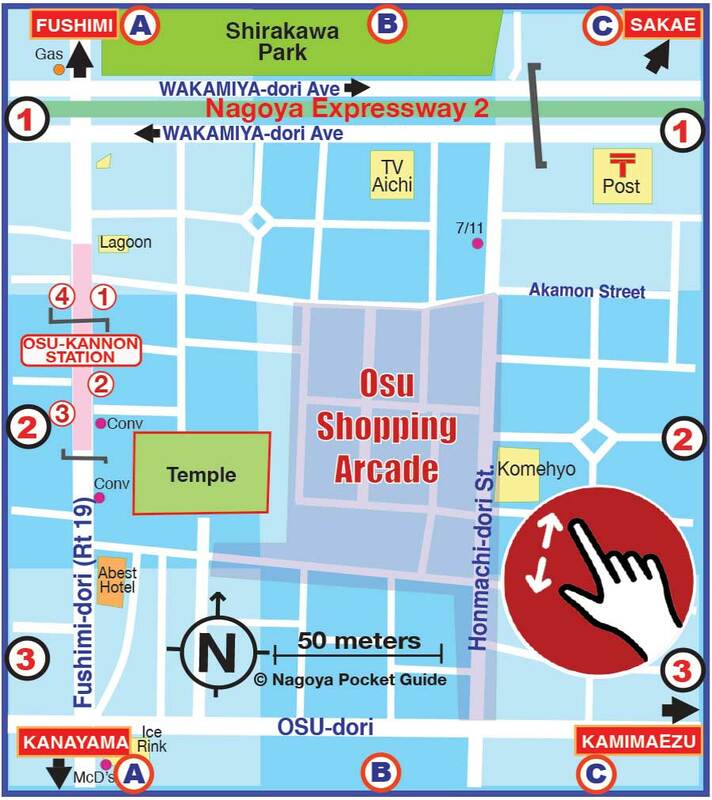 Printable Map of Osu-Kannon Nagoya (PDF)!